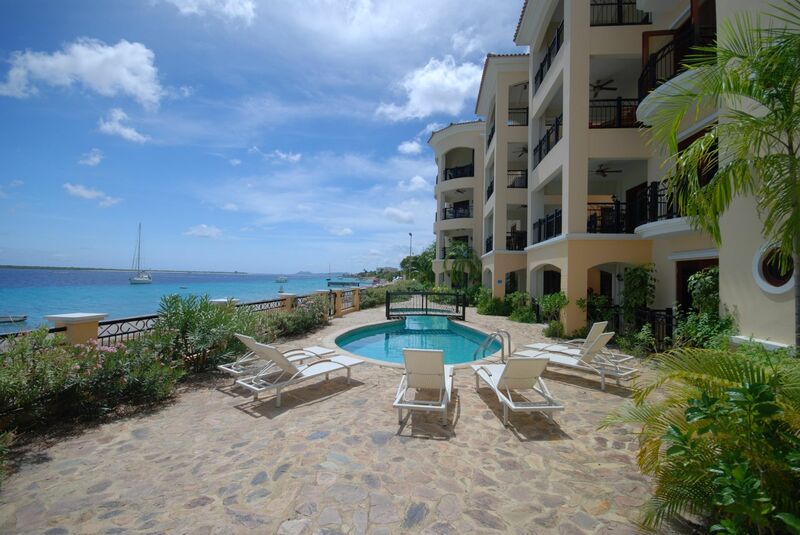 Elegancia del Caribe 7 is located on the North corner of the 2nd floor. With its contemporary interior, everybody will feel at home at this sea front unit. 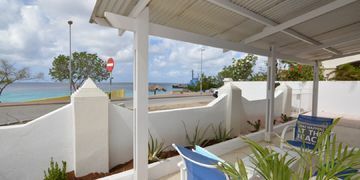 The spacious covered terrace, accessible using French doors from the living room, offers wide views over the bay of Bonaire and the Caribbean Sea. 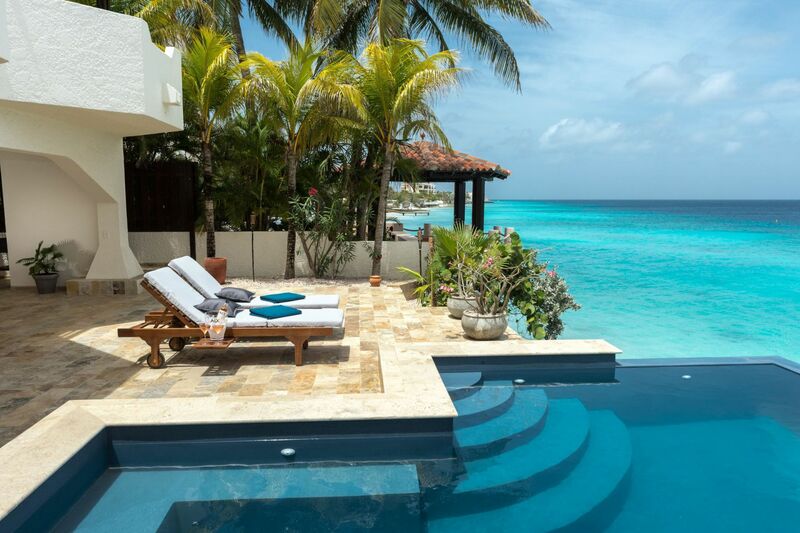 This is the perfect spot for those picture perfect sunsets while you enjoy a tropical drink. The living room is perfect for dining & entertaining with large couches and spacious dining table. The open concept kitchen is equipped with all appliances you can ask for. The laundry room has a washing machine. This unit has screens except for its outdoor terrace. Rental price is based on 6 months rent excluding the use of Internet/Phone, Water, Electricity and/or Gas.